Open My Eyes, God. 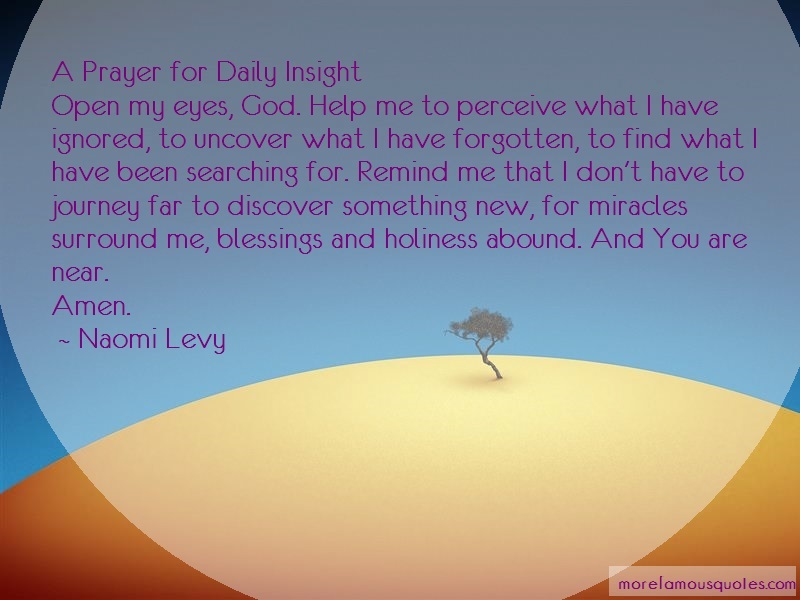 Help Me To Perceive What I Have Ignored, To Uncover What I Have Forgotten, To Find What I Have Been Searching For. Remind Me That I Don't Have To Journey Far To Discover Something New, For Miracles Surround Me, Blessings And Holiness Abound. And You Are Near.